Denis Dovgopoliy is a managing partner of GrowthUP Group, as well as co-founder and president of the GrowthUP Accelerator, which focuses on acceleration and investment in Eastern European startups looking to enter the global market. 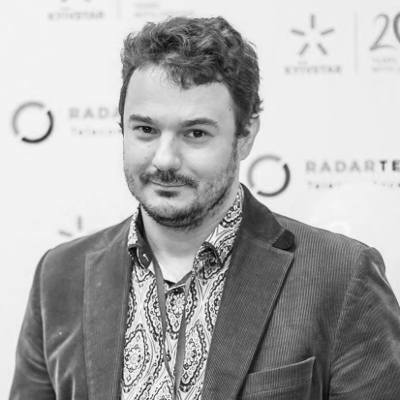 Denis has a strong understanding of the principles of business development and entrepreneurship in the technology sector, which he applies as a board member and adviser to some startups from Central and Eastern Europe. Denis has raised a few outstanding rounds for his portfolio companies. He has designed a 45-hour authorial course, partially licensed by various regional accelerators for tech entrepreneurs. Since 2007 Denis has maintained one of the most popular blogs about high-tech and venture capital in Ukraine, and, in 2011, published "The Four Steps to the Epiphany" by Steve Blank in Russian. He is also a co-founder or executive committee member of various events, including iForum, Silicon Valley Open Doors, IDCEE, Startup Crash Test, Kyiv Startup Week, SVOD Europe, and others. Before GrowthUP Group, Denis held C-level positions and completed several exits with Ukrainian companies. He graduated from Kyiv Polytechnic Institute in 1996 and IMI in 2000 (MBA). Since 2005 years in Venture Capital. He is well connected, 300+ investments and equity deals.